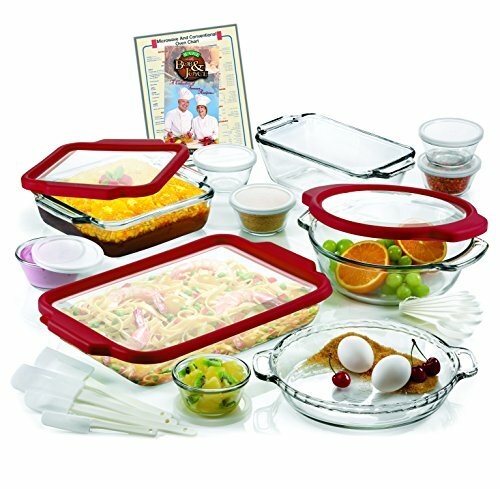 Anchor Hocking 32-piece Ovenware Set with TrueFitTM See-Thru Lids. Oven to table design is practical addition to any table setting. Perfect fit lids,no more struggling to open and close. Glass is dishwasher, microwave, oven and freezer safe.